I have worn my cork iphone case to the bone. I have been combing the internet for something that is unique enough to replace it-I was thrilled when I came across Uncommon! "Uncommon is the first company to create truly customizable mobile phone cases, bringing together exceptional products, talented artists, and self-expression. Their vision is to create a brand that supports artists and exposes the public to their artwork." I am loving this Hare case! 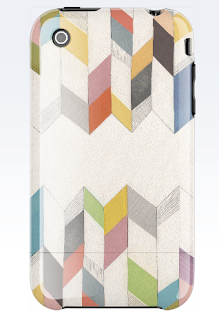 All cases are truly customizable and are only $39.95! I've been bad! I took my case off because it was too bulky but I know I need to put it back on. I love your hair pieces!!! Love it!! I'm sooooo buying one of these!